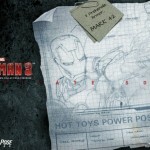 Hot Toys has announced a new series of Iron Man 3 items. 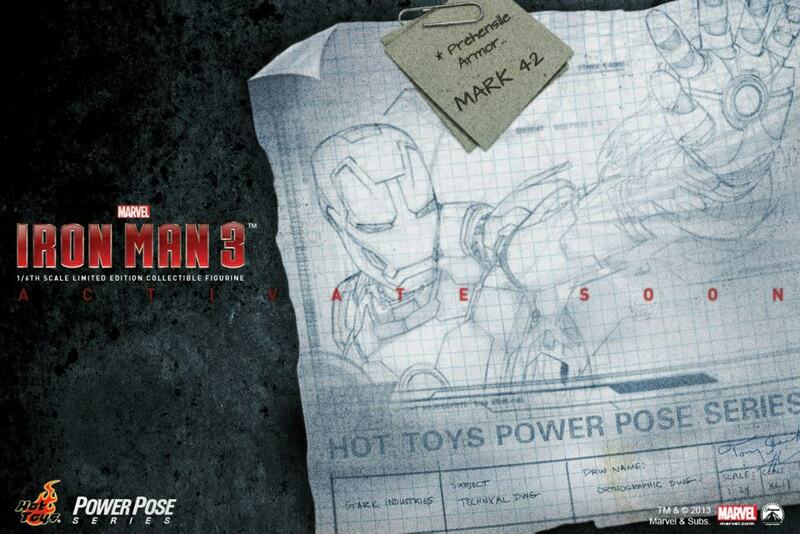 The first item in their Power Pose Series will be the Iron Man Mark XLII Armor. Iron Man 3 is coming to theaters in just three months! Fans, are you ready yet? We know that many fans have been awaiting the Mark XLII collectible for long, so Hot Toys is now thrilled to announce our brand-new Power Pose Series (PPS) and the armor of the Mark XLII collectible will be activated soon! The Mark XLII PPS is coming very soon! Stay tuned! Click the thumbnail for the preview image. So it's a statue? Cool that HTs is branching out some more, but I am more excited about the diecast line. 1/6 is where my interests lie.